Drs. Lauren and Jimmy Allgood are a husband and wife chiropractic team who’s mission is to bring specific chiropractic care to the families of Steiner Ranch and the surrounding communities. They chose this location because they feel that it is the perfect community for them to grow their dream practice and family. In their spare time they enjoy spending time with family and traveling, hiking all around the beautiful city with their two dogs Ace and Dino, spending time on the lake, and running through the hill country. They could not be more excited to join and serve this amazing community! Dr. Lauren is certified in Webster technique through the ICPA. This is a specific chiropractic analysis and diversified adjustment that is commonly used on pregnant moms. Drs. Lauren and Jimmy’s goal when using this technique is to reduce spinal misalignments and neuro-biomechanical imbalances allowing the body to function optimally. Due to the changes in weight, posture, and hormones, chiropractic care plays a crucial role in having the healthiest pregnancy and birth as possible. Dr.. Lauren also has specific training on pediatric chiropractic care through the ICPA. Drs. Lauren and Jimmy love to check children as early as possible because they feel that it is so important to make sure their nervous system is functioning optimally while they are growing. Patients under chiropractic care usually experience a decrease in the symptoms associated with their conditions, better posture, improved sleep, increased energy, and an increased feeling of overall health and wellness. At Austin Life Chiropractic we specialize in family wellness care. This ranges from newborns all the way to people in their golden ages. We utilize specific techniques in upper cervical care and prenatal/postnatal care (Webster Technique). Newborns require a very light specific force to help unravel everything from birth traumas, colic, reflux, digestive issues, to ear infections. We do not treat these issues, we help unleash the power within all of our bodies to heal itself which is controlled by the nervous system, brain/spinal chord/nerves. Through chiropractic adjustments of the spine we help remove interference to the brain/body connection. Our mission at Bloom Chiropractic & Wellness is to help families realize a more natural and holistic approach to health. We honor the healing power inside of the body and aim to work with the body and not against it to truly get people better. We care deeply about each and every one of our patients, from our itty bitty babies all the way to grandma and grandpa. At Bloom we strive to make every visit a welcoming and relaxing one. Our favorite thing is when a patient leaves with a bigger smile on their face then they walked in with. We want you to feel like you are part of a tribe, and that together we can navigate the road to wellness which is different for each family. Dr. Kristi is trained through the ICPA to work with pregnant mamas and babies, and uses several gentle and effective techniques in whichever combination works best for that patient. Dr. Kristi is also certified in Webster Technique which is a safe and gentle chiropractic technique designed specifically for pregnant moms during all stages of pregnancy. She has a huge passion for helping moms through their pregnancy because she knows how hard it is to live life and function when your body is changing so much and everything hurts. Chiropractic adjustments helped her immensely through both of her pregnancies, and she feels it is a big part of her purpose to share that blessing with others. She also enjoys working with the whole family and has a soft spot for helping young athletes since her time seeing a chiropractor while playing high school sports is what got her interested in becoming a chiropractor! Dr. Whitney specializes in chiropractic care for pregnant moms, infants, and kids. She is certified in the Webster Technique, and trained in Craniosacral therapy. She is also a doula and has attended many births at home, birth centers and hospitals. She accepts “on-call” labor clients when the need for an adjustment arises during labor. Conditions that patients most often see Dr. Whitney for during pregnancy: Low back pain, sciatic nerve pain, hip alignment, positioning of baby, round ligament pain, carpal tunnel, “pinched nerve” pain, headaches, overall well being during pregnancy, etc. Conditions that we help most often in infants/children: Latch problems (during nursing), “flat spot” on head, torticollis/plagiocephaly, ear infections, cold/flu, delayed milestones, colic/constipation/reflux, neurological conditions, ADD/ADHD, sensory processing disorders, bedwetting, overall well being during development, etc. Dr. Jeannique Norbert is a Board Certified Doctor of Chiropractic specializing in pre-natal and post-partum care with extensive training in pediatric care with the International Pediatric Chiropractic Association. In the area of pregnancy care, Dr. Norbert is certified in the Webster Technique, the specific chiropractic analysis and adjusting technique for pregnant women. The goal of this technique is to optimize the balance of the pelvic bony structures and ligaments of the uterus. The result is both reduced irritation of neurological function and optimization of space/ proper positioning for baby within the womb. Family Chiropractic of Austin is the premier center for scoliosis, prenatal, and pediatric care. Dr. Morgan specializes in infant , toddler, and prenatal care. 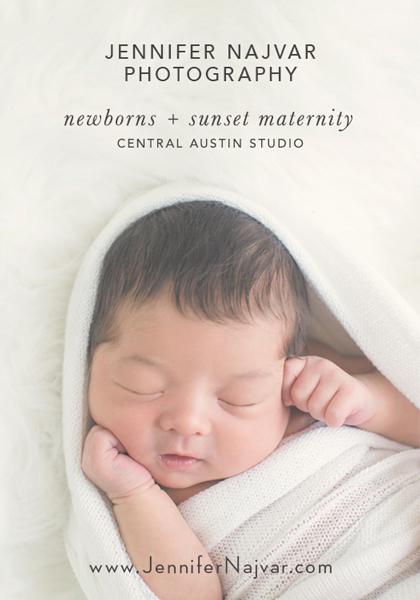 She has partnered with Austin Area Birthing Center to provide the best pre and post partum care to women in South Austin. Prenatal care helps to aid in proper alignment of the pelvis so that the birthing process can be smooth and without complications. Additionally When parents find out that spinal conditions they have run in families they want to get their children checked as soon as possible. Dr. Morgan has treated many infants and children with a wide range of conditions from latch issues, sleep problems, constipation, reflux, ear infections, scoliosis, torticollis, bed wetting, and more! FortView Chiropractic Clinic is a family chiropractic center in South Central Austin. Our primary treatment goal is to eliminate the source of your pain by using a variety of treatment and healing modalities. We provide chiropractic care for all ages including: infants/babies, children, pre-teens/teens, adults, pregnant mommies and our beloved seniors. Custom chiropractic sessions will aid in restoring healthy joint function and range of motion so you can resume to the activities you enjoy, while learning helpful strategies to prevent injury in the future. FortView Chiropractic is dedicated to helping you achieve your wellness objectives with ease, grace and affordability. We accept most insurance and PPO plans, as well as auto accident coverage. We welcome you as a patient and appreciate the opportunity to provide you and your family with quality chiropractic care. We are a family oriented chiropractic and wellness center taking care of all ages. We concentrate on spinal correction with specific adjusting of vertebral subluxation and rehabilitating the muscles next to the spine. You are our main concern. We want you to enter a calming, relaxed atmosphere to start you on your journey to complete wellness and health. We will provide you and your family the best quality care that fits both your lifestyle and your wallet. We believe that chiropractic care is the cornerstone of any comprehensive and holistic health program. When your body works the way nature intended, your spirit soars–and so do you. Dr. Hausman uses a “whole person approach.” This approach to wellness means looking for underlying causes of any disturbance or disruption (which may or may not be causing symptoms at the time) and make whatever interventions that would optimize the conditions for normal function. Using this unique approach, along with gentle and effective chiropractic adjustment techniques, Dr. Hausman is able to help you to accelerate and/or maintain your journey to good health. Through the use of Chiropractic, Dr. Hausman has experience treating a variety of conditions including: treatment before, during, and after pregnancy. Dr. Hausman is certified in the Webster Technique, which aims to help reduce Sacroiliac stress and misalignment in pregnant mothers. Dr. Hausman also treats children of all ages, from newborns to teenagers. I specialize in chiropractic and acupuncture for pregnant women, babies and children. I have developed a special chiropractic adjustment that can improve or eliminate pubic, groin, or hip pain during pregnancy. I offer a variety of acupuncture services geared towards women of all ages and stages of life: fertility, pregnancy, including relief from heartburn, stress, back and pelvic pain, and induction of labor, postpartum depression, menopause, and many more conditions including anxiety and depression. I love treating babies and children with chiropractic for ear-infections, colic, nursing difficulties, digestive and sleep issues and many more. We are a holistic family practice that places an emphasis on gentle and specific adjustments. We facilitate the healing process with lifestyle changes such as nutrition, exercise and stress reduction. Everyone is welcome here; adults, infants, children and pregnant women. Come by today to naturally heal from the inside out! Rock Chiropractic is Round Rock’s Family Wellness Center. Dr. Stephanie Brown is specialized in prenatal and pediatric care. She believes chiropractic care is essential for pregnant moms. Chiropractic care not only makes the mother more comfortable during pregnancy and delivery, but also ensures that her body is functioning at its full potential. She is Webster certified, and uses this technique to balance the mother’s pelvis, release tension, and allow for the most optimal development and positioning of the baby. Dr. Brown is passionate about serving women and helping them to achieve a healthy pregnancy, delivery, and new baby. Dr. Brown also believes, that it is essential for every newborn checked for nervous system interference to give them the healthiest start to life possible! We are a wellness center that has been serving the North Austin & South Round Rock area since 2004. We have two chiropractors, two acupuncturists, 13 massage therapists and a weight loss (ideal protein) program. I am the Pediatric and Pre/postnatal chiropractor that serves at our wellness center. I am certified by the International Chiropractic Pediatric Association. 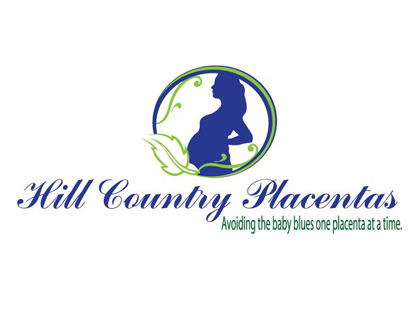 I help moms that are having aches and pains during pregnancy, wanting to optimize the birth canal, and have the safest most effective BIRTH-day! 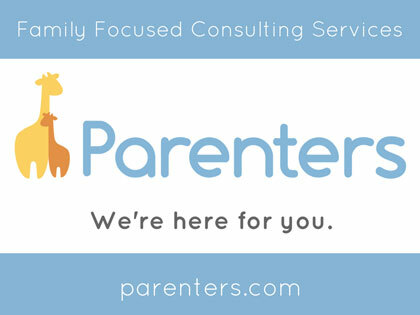 After baby is born, I help children through infancy, toddler years, and beyond teen years. Thrive! 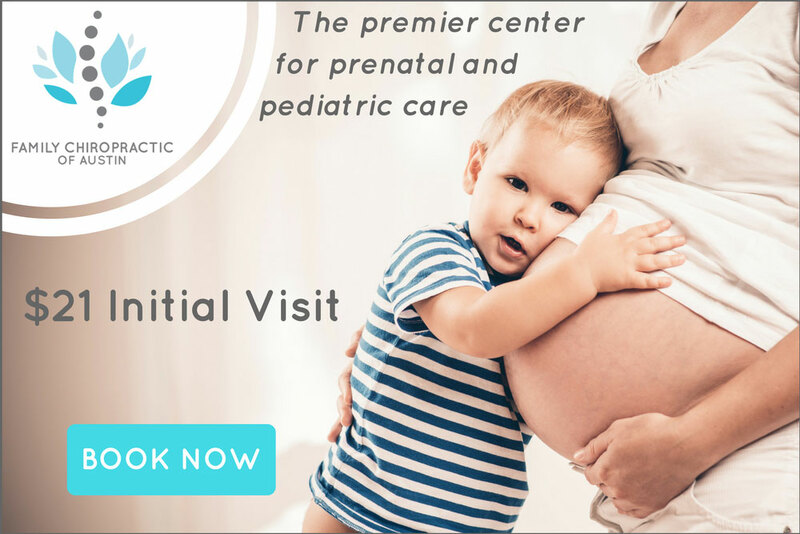 Chiropractic Center is North Austin’s pregnancy comfort, health, and wellness destination. Dr. Cory is Webster certified to provide the safest, most effective chiropractic care to his patients throughout their pregnancy and for their entire family. Vert-Align Chiropractic is located in South Austin. We provide Chiropractic services to people of ALL ages and a variety of conditions. The clinic is locally owned by two Chiropractors. One of the Chiropractors, Dr. Gomez, is Webster Certified in treating pregnant women. We offer affordable prices and flexible hours. Our patient’s time and well-being is of the highest priority to us. We also provide services in massage therapy and acupuncture. Vibrant Life Chiropractic offers a unique approach to your healthcare. Our sole focus is to help you and your little one flourish. We do this by integrating Positive Psychology concepts into every aspect of your experience at our office. From filling out your intake paperwork to receiving your Chiropractic adjustment, we want to make sure you are thriving at each step of the process. Dr. Katherine Melot, lead clinician at Vibrant Life Chiropractic, is a Board Certified Doctor of Chiropractic who specializes in Pregnancy and Pediatric Chiropractic Care. She is extensively trained through the International Chiropractic Pediatric Association and is certified in Webster chiropractic technique for pregnancy.